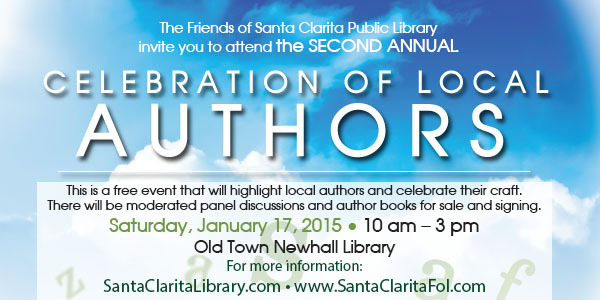 The Santa Clarita Public Library and the Friends of the Santa Clarita Public Library are inviting community members to attend the Celebration of Local Authors event happening on Saturday, January 17, from 10 a.m. – 3 p.m. at the Old Town Newhall Library. This free event will have panel discussions highlighting local authors as well as books sales and signings. For more information about the event, visit SantaClaritaFOL.com.